Australians definitely seem to be a freedom loving people, despite their 1996 and 2002 gun laws. Unfortunately, they will regret that legislation when the alien invaders arrive, but at least there are still plenty of hunting rifles out in the rural communities. 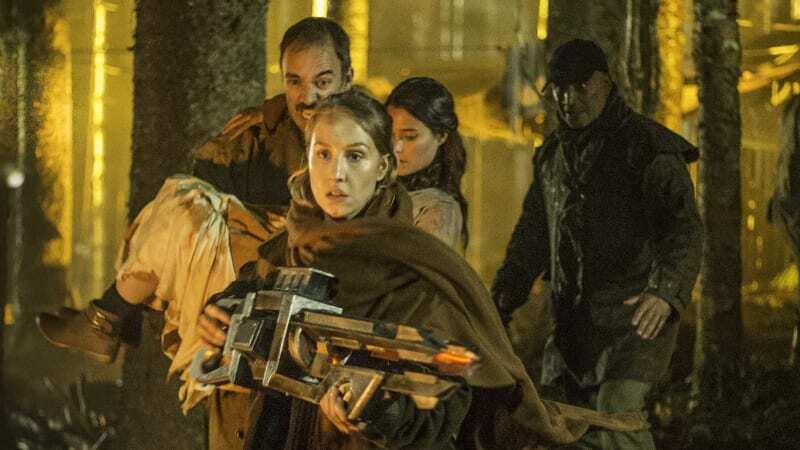 A rag-tag group of survivors will take the fight to the aliens in director-screenwriter Luke Sparke’s Occupation (trailer here), which opens this Friday in New York. The aliens first attack during exhibition Australian Rules football match. It was supposed to be former captain Matt Simmons last hurrah and the current captain’s golden opportunity to be scouted, but it did not end that way at all. They do not get along much, but they will have to work together as charter members of the resistance. It turns out their core group is quite resourceful, thanks to members like Simmons’ girlfriend Amelia Chambers, the grizzled but wiser-than-he-looks farmer Arnold, and Peter Bartlett, an ex-militant and would be family man, who just finished serving his prison sentence for murder. Sure, we have seen this all several times before, starting with the classic George Pal-produced War of the Worlds and recently in the African-set Revolt, which was also released by Saban Films. 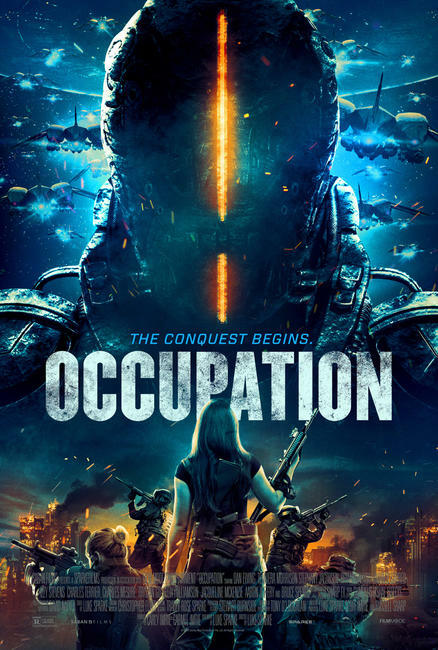 There are scores of superior alien invasion films, but Occupation’s nicely drawn characters and game cast keep us hooked anyway. Temuera Morrison is probably the best known and fans will enjoy watching him seething with rage as Bartlett, the distressed father. Stephany Jacobsen shows real star potential as the forceful, action-oriented Chambers, while Charles Mesure looks and acts like Australia personified as crusty, trusty Arnold. Plus, Jacqueline McKenzie steals a few scenes as the uber-commanding Col. Grant. There is not much time or thought devoted to the aliens’ backstory. Basically, Sparke cribs here and there from the original V and Independence Day. The two-hour running time is really pushing it for what is essentially a B-movie, but to his credit, he keeps the energy level amped up. It cannot compare to the 1953 War of the Worlds, but it is lightyears better than the Tom Cruise monstrosity. Recommended for science fiction fans who enjoy a straight-up throwback now and then, Occupation opens this Friday (7/20) in New York, at the Village East. So, keep watching the skies everybody.